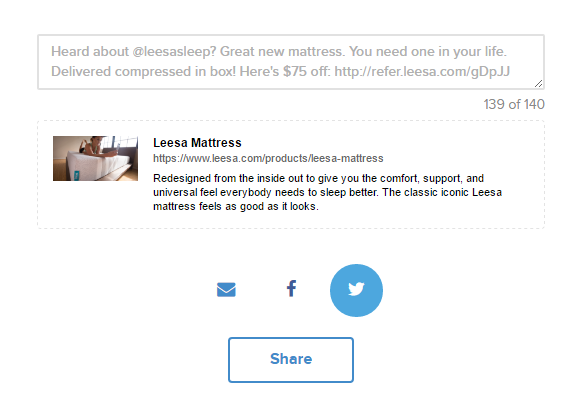 Leesa is a mattress company that sells compressed and boxed mattresses shipped directly to your home. 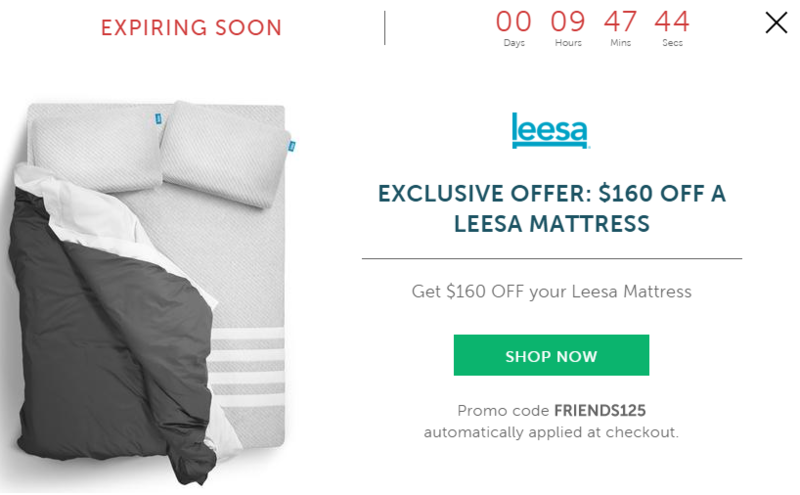 The Leesa mattress is a completely redesigned mattress offering a Universal Adaptive Feel™ that adapts to all body shapes and sizes and sleeping styles. This mattress is also unique in that it is delivered in a box. Unpack the box and watch your new mattress inflate. 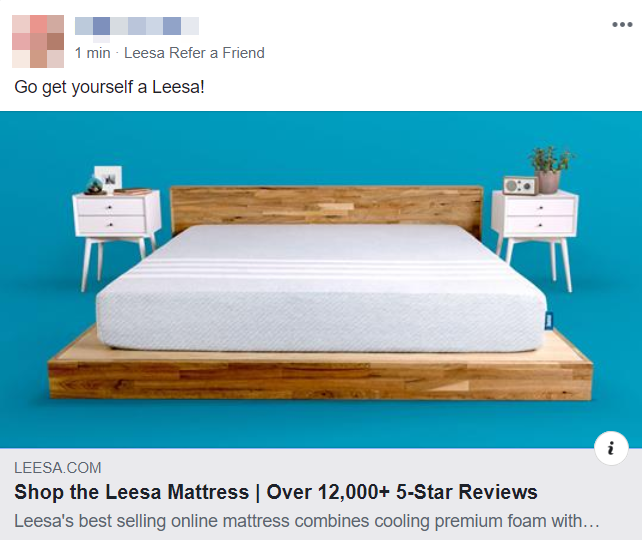 Leesa offers a pretty decent reward, considering the price point of their mattresses. 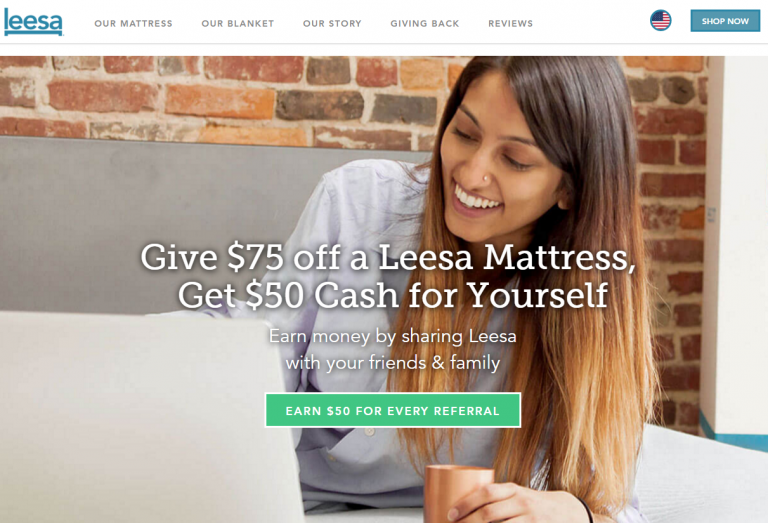 They’ve offered a referral program pretty much from the get-go, but have recently upped their referral reward offer to a little over double the amount. It’s a little unclear how many programs they are running as they also talk about influencer, ambassadors, and affiliates on their referral program landing page. 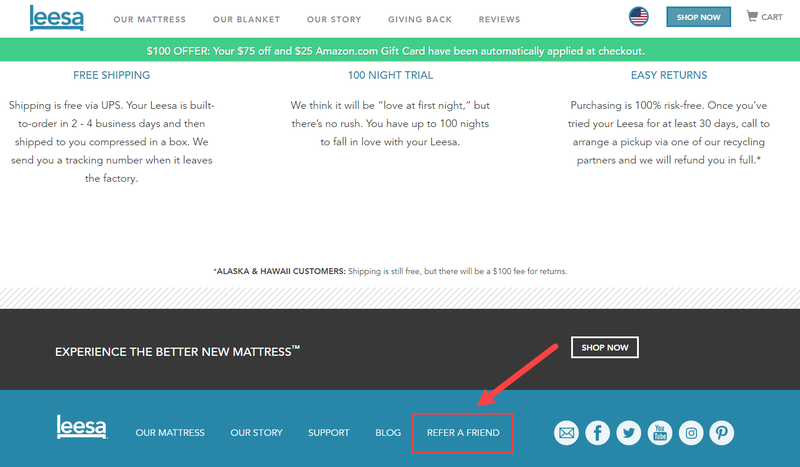 They offer a pretty decent double-sided referral rewards program to their customers. Giving the referrer $75 via PayPal, and the new customer $160 off their purchase.